Scientists have identified yet another unexpected consequence of climate change: warming temperatures are causing polar ice to melt, and this extra weight is causing the ocean floor to sink. This process also exacerbates sea level rise. Image credits: Lieberum / Pixabay. Much like an octopus, the arms of climate change are long, far-reaching, and sticky. If there’s one thing recent studies have shown, it’s that rising temperatures are causing a myriad of planetary changes, often with unforeseeable effects. 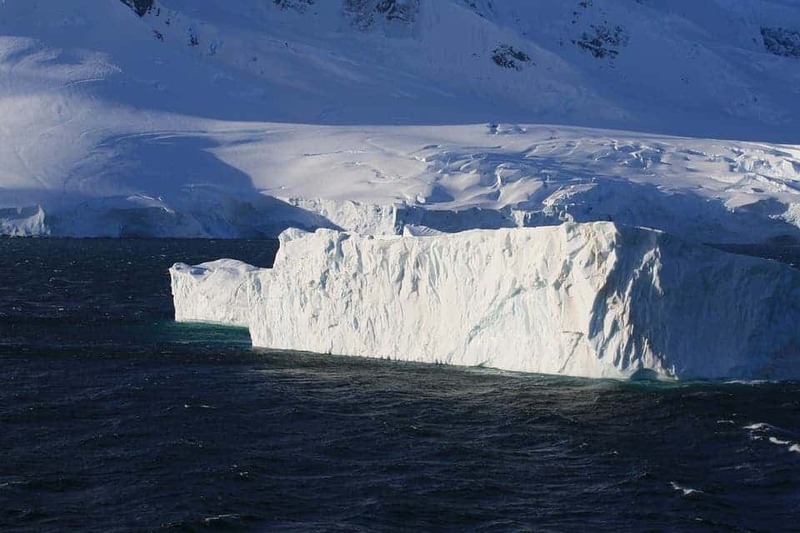 For instance, climate models clearly showed that rising temperatures will melt polar ice. But it’s much harder to predict the effects that this extra water will have on the rest of the Earth’s systems. Now, geoscientist Thomas Frederikse from the Delft University of Technology in the Netherlands and his colleagues report that the meltwater is adding extra weight to the seafloor. We tend to think of the Earth as a firm, unchangeable sphere. But geologically, our planet is a very dynamic place. Researchers had known that extra weight could cause the Earth to become squashed, but they wanted to know how much it could be squashed — and this is where the surprises started. 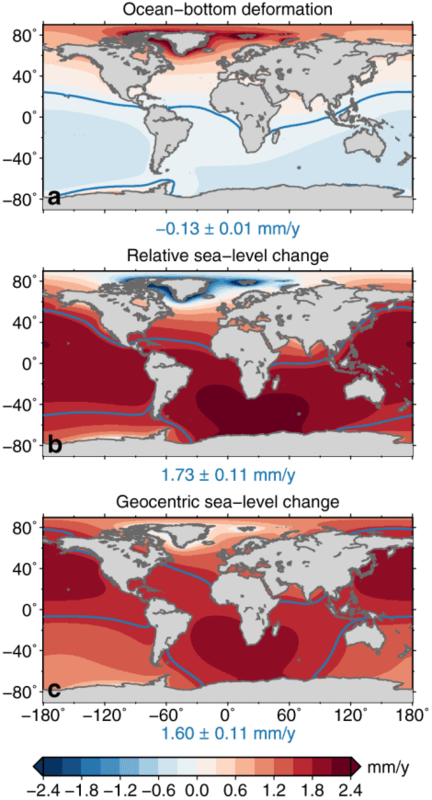 They found that the effect is so pronounced that current models are slightly off, and sea level rise is even more significant than we expected. The measuring problem comes from the fact that satellite altimeters measure the height of the ocean surface relative to the center of the Earth, but they don’t see what’s happening with the seafloor. So researchers needed a different type of data. Frederikse’s team analyzed data from Greenland and Antarctica ice sheets, as well as changes in water storage on land surfaces due to dams, irrigation, and other human activities. After a lot of number crunching and modeling, they found that the extra load on the oceans was significant enough to cause an extra sinking of 0.1 mm/yr between 1993 and 2014, or 2.1 mm over the entire period. This drop wasn’t uniform, reaching 1 mm/yr over the Arctic Ocean and 0.4 mm/yr in the South Pacific. This might not seem like much, but this is the entire ocean we’re talking about. There’s no immediate reason to worry, but when you consider the sheer scale of the process, it does raise a red flag. The phenomenon is also expected to increase in intensity as more and more ice starts to melt. For scientists, this study also suggests that there’s a significant error source when it comes to sea level rise — it’s an 8% amplification effect which we haven’t considered until now. Taking a step back and looking at the bigger picture, there’s a clear message behind this study: mankind’s effect on the planet is profound and long-lasting, affecting every ecosystem on the planet. Ocean floor deformation turned out to be an impactful and unexpected process, who knows what else we’re missing? The study was published in Geophysical Research Letters.